Of all the Fifties Establishment-types who Turned On, Tuned In and Dropped Out in the subsequent decade, few Turned On more completely, Tuned In more deeply, or Dropped Out more thoroughly than one Gridley Lorimer Wright IV. The scion of an upper-class Buffalo, New York family, Wright began the Sixties as a button-down Wall Street stock trader and conservative Republican, and ended them as a long-haired psychedelic guru and anarchist commune founder, as well as the leader of a small, nomadic, LSD-using and polyamorous sect that would become known as Shivalila. Born in 1934, Wright attended Westminster Prep as a teenager, and then entered Yale University. Years later, Libertarian political theorist Murray Rothbard remembered him as a young adherent of the early-1950s conservative movement at Yale, a disciple of William F. Buckley and Russell Kirk who saw atheism and materialism as the root evils facing America and the West. For awhile, Wright even served on the staff of the paleo-Right American Mercury alongside George Lincoln Rockwell, a Navy vet and illustrator who would later achieve infamy as the leader of the American Nazi Party. When Wright graduated from Yale, he married, and found work as a stockbroker in New York City. Sometime in the early 1960s he moved to Southern California, settling in Malibu. 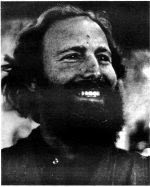 Sociologist Lewis Yablonsky, who at the time was writing a book about the controversial nascent-cult Synanon, remembered first encountering Wright at a Malibu community meeting, where the conservative Republican broker spoke to support the group’s right to develop their property in the beachside town. While in Malibu, Wright switched careers from broker to county probation officer. The new job kept him busy only three days a week; during the rest of the time, he experimented with marijuana and LSD, stretching his consciousness far beyond the upper-class-Yalie, Goldwater-Right universe of his young adulthood. Eventually he quit working altogether, stopped shaving, grew his reddish-blond hair to shoulder-length, and swapped Brooks Brothers suits and wingtip shoes for kaftans and sandals. Then in late 1966, the newly-minted hippie turned his Malibu Canyon home into a 24-hour-a-day crash pad for local freaks and runaways, which didn’t exactly endear him to his wealthy neighbors. In early 1967, Wright moved the party to a property in Decker Canyon, several miles west of Malibu proper, where he (loosely) organized a commune. He dubbed the settlement “Strawberry Fields,” after the Beatles song, and “decided to let anybody else who wanted to come, come.” There was no structure at Strawberry Fields – the only rules were that alcohol and hard drugs were verboten, and that residents and visitors had to confine their activities to the property boundaries. Otherwise, one could freak freely. At any time, Strawberry Fields boasted between 30 and 35 residents, with over 100 during weekends. About half the hippies and trippers there hailed from the San Francisco Bay Area – the Haight Ashbury was already losing its allure for its original denizens, and many were migrating to fresh freak enclaves across the West Coast. Wright envisioned the commune as “a place of accelerated evolutionary change,” where people could safely trip on acid or other psychedelics, and expand their consciousness without interference from, or with, straight society. Wright's then-girlfriend Tatian is at center, in the red top. As with so many other improvised communities of the time, Strawberry Fields didn’t last long. The place was a magnet for every misfit and crazy in California, and dealing with them and their less-than-salubrious lifestyles gave Wright cases of hepatitis and pneumonia. The would-be hippie guru barely escaped arrest when the law removed a five-year-old from the premises for smoking marijuana. And when a misplaced candle burned down the main commune house, he decided it was time to shut down Strawberry Fields. Wright tried to organize another commune at Gorda, near Big Sur, but that experiment turned out to be even shorter-lived, and more disastrous, than the Southern California-based one. During this period, Lewis Yablonsky interviewed Wright, who would become the sociologist’s Virgil in a journey through the Sixties subculture. Wright, by now an unofficial spokesperson for Los Angeles-area hippiedom, spoke to Yablonsky from the comfort of his Malibu home, as naked teenage hippies paraded through the living room and the burnt-sage odor of marijuana wafted through the house. When asked about his political leanings, Wright told Yablonsky he had none. The onetime right-wing activist eschewed the radical ideology and action of much of the counterculture. To change the world he said, one had to change one’s consciousness first, and Fighting the System not only wasted time and energy, but reinforced the oppressor/victim roles that were keeping people from truly open communication. On the other hand, Wright also spurned the “flower children” ideal; he believed anger and hatred were natural, healthy emotions that only became dangerous when they spurred physical violence. Wright’s own ideals were tested when he endured a well-publicized pot bust and trial. In May of that year, the hippie leader had appeared on a Los Angeles radio program, and when he discussed the sacramental use of marijuana and LSD, he casually mentioned on the air that he’d gotten high just before the interview. When he came out of the studio, cops were waiting with a search warrant at his car, which gave up a small amount of marijuana. Since mere possession of pot was then a felony, they arrested him. Although not only Yablonsky, but Unitarian minister and Harvard Divinity School graduate Ernest D. Pipes testified at the trial that Wright was a bona fide religious leader, and the hippies’ marijuana use was a key part of a legitimate spiritual quest, the law didn’t agree. After a two-week trial Wright was found guilty, labeled a “false prophet” by the presiding judge, fined $300, and put on five years’ probation with the understanding that he wouldn’t use, or advocate the use of illegal drugs during the term. True to his anarchistic philosophy, Wright continued to do both, and was sent to jail for the next eighteen months. When he emerged from custody in early 1969, Wright headed to the Far East. Like many Western hippies, he believed that Enlightenment lay beyond the repressive, rule-crazy confines of his own society, and could be found by exploring Asian spiritual and cultural ways. In 1970, he ended up in Kuta Beach in Bali, then a sleepy village little frequented by tourists. Believing he’d found “home,” he burned his American passport as an offering to Shiva, the Hindu god of destruction, and then moved into a little shack on the beach. There he meditated and wrote chapbooks of poetry, which he exchanged at a nearby coffee house for donations. Wright also befriended both expatriate hippies and locals, who sought him out as a yoga teacher. Keith Lorenz and David Salisbury, two Americans who were recording an oral history of rapidly-modernizing Bali, encountered Wright at Kuta Beach. Fascinated by Wright, who was calling himself “Abra Lut” during this period, the two taped a lengthy interview with the gone-native guru, where he expounded on his ideals and life. Wright told the pair that several years earlier, he’d had a vision of a shared community that would separate itself from modern society and the consumer culture, and live as a tribal, collective unit. After his time in Strawberry Fields and in jail, he realized that the vision wouldn't work in America, so he traveled to Asia to seek out ways of life more conducive to this ideal. Intimacy – physical, emotional, spiritual – was what the seemingly egoless Wright was all about in Bali. “Everybody that I’m with is me,” he told the interviewers. “Right now I’m a witness in a mirror…anything [people] see in me is a projection. It’s the self talking to the self. I’m reflecting ways of perceiving, interacting, playing with the environment.” Wright believed that in his interactions he was recreating the immediacy and novelty of childhood – the ideal mental state for true learning and spiritual peace. As with the Yablonsky interview, Wright was speaking under the shadow of legal persecution. He claimed that some local Balinese had adopted him as a sort of mascot of Western hipness, but then got angry when he started to play his guru role too seriously with them. They reported him to the local authorities, who raided his hut, loaded him in a Jeep, and dropped him in a detention center. His captors were puzzled by the passport-less, penniless American who accepted his fate with Buddha-like passivity, and endlessly played mind-games with them, so he was returned to his shack while they figured out their next move. Eventually he was seized again and forcibly deported to the United States. Back in California, Wright was once again able to assemble a small coterie of followers. This time he organized it as a formal group, and dubbed it Shivalila, in homage to the Hindu deity to whom he’d sacrificed his passport, and who was often associated with ritual cannabis use. 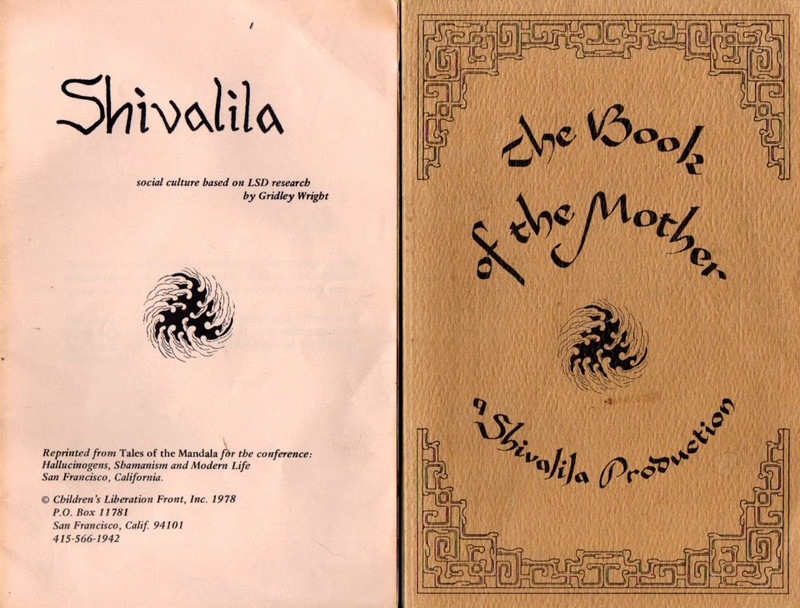 Shivalila’s basic beliefs and practices were recorded in a 1977 work, The Book of the Mother. 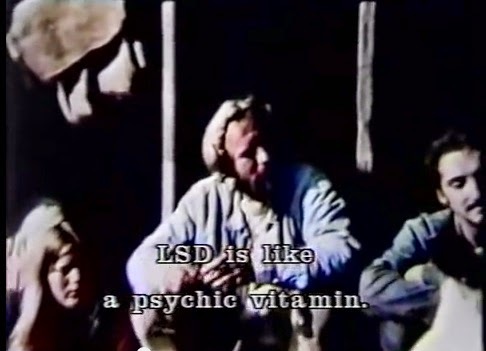 According to Wright, who penned the work under the auspices of “The Children’s Liberation Front,” their vision of collective consciousness came about during a ten-year period, wherein the members took over 12,000 LSD trips. They had started out in the Western Hippie subculture, but had also journeyed to more traditional tribal societies, and had tripped with Third World peoples ranging from Afghani Sufis, to Tibetan Buddhists, to Indian Shaivite Hindus. Wright claimed that when he dosed tribal peoples with acid, not a single one experienced the hallucinations or freak-outs traditionally associated with the drug in the West. I. Ahimsa. Shivalila is an open, nonviolent community. (Violence is an act that directly affects structural damage to cellular integrity. People of Shivalila will not under any circumstances resort to violence or call upon any institution that uses violence or threats of violence. II. Sattva Ava. People of Shivalila will make no contract in respect to truth without stipulating that truth is relative and that body, mind, and environment are indissoluble. Correlatively, people of Shivalila will not testify in any matter involving issues of guilt or nonguilt. III. Bhramcari. People of Shivalila do not own anything on any plane – psychic, material, physical, or fantasy. * People of Shivalila do not acknowledge private or group ownership of anything. Correlatively, people of Shivalila will not participate in any relationship involving privacy or secrecy. IV. Tantra. A person of Shivalila will have sensual/sexual relations with another only after that person has manifested some identification with nature and babies. The object of Shivalila was to manifest higher consciousness through these practices. Wright believed that there were nine stages of human consciousness, ranging from “Neuro-electro-atomic” to “Universal mind”, a God-like state of being that “will only manifest through the unified focus of no less than three persons.” The goal for Shivalila, and for the human race on the whole, was to achieve full use of all nine levels, so that full, honest communication could take place between individuals, egoistic differences could be erased and the tribal group mind would harmoniously direct human affairs. Wright discouraged mothers to identify with their birth children, saying that it created neurotic, egoistic attachments. Instead, he said that mothers should “facilitate the development of psychic/sensual relationships with a broad variety of people” so as to fully develop the child as a social, tribal being. He even banned books and toys from Shivalila, since such artifacts separated children from spontaneous experience and the collective play of the community. Shivalila never grew beyond twenty or so members. Wright and his followers maintained a nomadic existence, spending the Seventies drifting through Asian ashrams and North America communes, in search of a place where they could expand their consciousness with LSD, and raise a new generation of children in the tribal consciousness Wright believed could save humanity. When Wright heard the story of the Tasaday, a tribe of indigenous Stone Age people on Mindanao in the Philippines, he took his people to the island to meet them, only to be turned back by government officials who believed the last thing the Tasadays needed was to be corrupted by a gang of Western acidhead cultists. Wright also found himself unwelcome in stateside alternative-culture circles. In the book The Wizard and the Witch, Oberon and Morning Glory Zell, founders of the Neo-Pagan Church of All Worlds, recounted how Wright and his group, who had co-opted several members of a Missouri commune, tried to recruit their own preteen daughter by dosing her with LSD. The girl also told her parents that Wright had attempted to seduce her. Enraged, Oberon Zell confronted Wright, grabbing one of his henchmen’s pistols and holding it to the cult leader's head. Coming to his senses, Zell instead invoked the Mother Goddess’ curse on Wright, and reported him to Child Protective Services, who showed a distinct lack of interest in the case. Frustrated, the Zells and their daughter relocated to Oregon, hoping that if the Show-Me State wouldn’t administer justice, the Goddess would. In the late Seventies, Wright and his entourage landed at Black Bear Ranch in California’s Siskiyou Mountains. Black Bear seemed to be a more rural, and more disciplined version of Strawberry Fields twelve years earlier – “free land for free people” where anyone who was willing to work and cooperate was welcome, and where children were raised communally. Initially, the Shivalila tribe seemed to fit right in the community. But tensions soon appeared between its members, and the longtime residents, many of whom were political radicals deeply suspicious of self-proclaimed gurus. 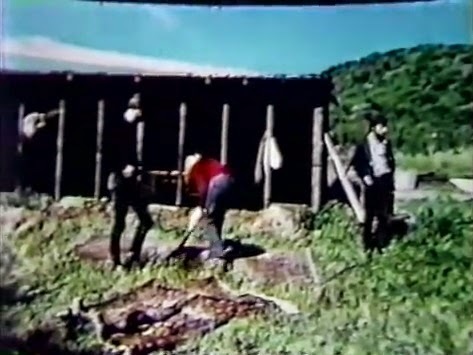 A 2006 documentary about Black Bear, Commune, featured interviews with former residents who saw Shivalila as an arrogant cult whose members spent most of their time dropping acid and hanging around with the commune’s children, and who tried to impose their own visions on the essentially anarchistic settlement. Ex-Shivalila members who appeared in the film, on the other hand, felt they were merely being honest and open with the regulars, per Wright’s teachings of egalitarian, free communication. 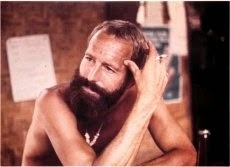 Shivalila at the Black Bear commune, circa 1975. Eventually the Black Bear old-timers called in reinforcements from outside the settlement, confronted the Shivalilites, and forced them to leave the land. Wright and his people departed, along with a couple of Black Bear residents who’d shifted their alliance to the middle-aged guru, and – amazingly – at least two commune children who’d bonded with the child-centered clan, and had chosen to go with them rather than stay with their biological families. Once again driven from California, Wright and his entourage returned to Asia. Imitating their leader’s action years earlier in Bali, the Shivalilites journeyed to India, destroyed their passports, and pled with Indian officials for asylum, claiming they faced persecution in the United States. (Ironically, asylum was denied them largely on the grounds that the cultists lacked valid passports.) They tried to settle in the arid Indian state of Rajasthan, but an epidemic of measles and diphtheria there claimed the lives of four of the group’s children. Wright, who claimed that Western medicine had no place in the primitive commune’s life, had forbidden inoculations to his followers. By now, the 45-year old Wright was tiring of the conflicts and constant travel, and told his followers that he would die in India. He had been lately claiming that he’d lived before as Krishna, Buddha, Jesus and Muhammad, and that he’d taught all one soul could. Eternity beckoned. Wright’s premonition came true on December 22, 1979. Weeks earlier, he had been visiting the Indian tropical seaside state of Goa when he was stabbed several times by a deranged Australian hippie. Complications from the wounds set in, and the 45 year-old guru died of double pneumonia in a Goa hospital ten days before the end of the 1970s. Five members of Shivalila were with him when he passed on, and they had his earthly remains cremated Hindu-style, and scattered near the sea in the town of Panjim. Shivalila struggled to stay afloat in the wake of Wright’s death. 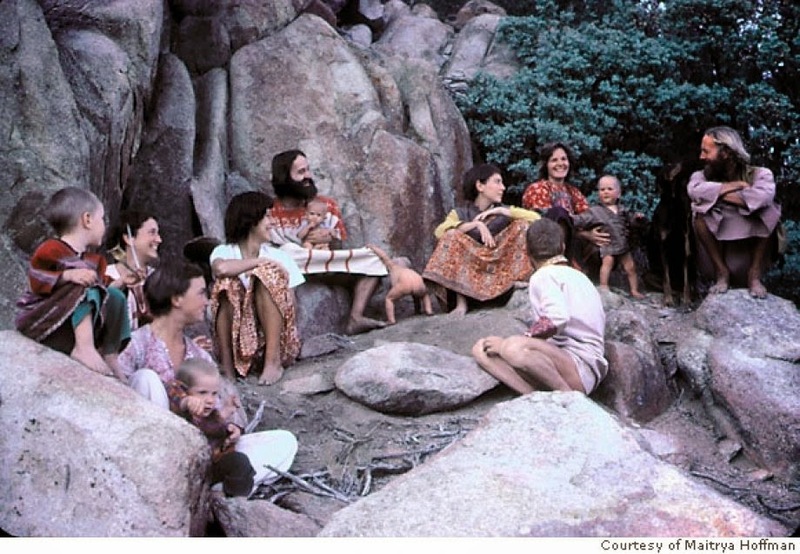 Most members of the group returned to the United States, where they distributed The Book of the Mother and tried to live his ideals in a society that seemed less hospitable than ever to the Sixties psychedelic-tribal vision. Some settled on Hawaii’s Big Island, and eventually opened an intentional community called Dragon’s Eye, which combined Wright’s teachings with those of other social and spiritual reformers. The community continues to exist as of this writing, and is now considered “mainstream” enough to host 4-H sustainable-agriculture programs. As for Wright, little trace today remains of his influence. Chris Lorenz, the nephew of one of the men who interviewed the guru at his Bali retreat, maintains the gridleywright.com website, which sells a CD of the 1971 interview, and displays articles and news clippings about the “figure of the 1960s counterculture.” The Commune documentary revived some interest in Shivalila, although the group’s child-centric practices, and Wright’s flat-toned narratives over footage of the group, creeped out more than a few viewers. and my cast of freaks. but of the insanity in my eyes. The Book of the Mother. Bakersfield, CA: Children's Liberation Front, 1977. Melton's Encyclopedia of American Religions, Eighth Edition. Edited by J. Gordon Melton. Detroit: Gale, 2009. "Shivalia", pp. 683-684. The Hippie Trip, by Lewis Yablonsky. New York: Pegasus, 1969. The Wizard and the Witch: An Oral History of Oberon Zell and Morning Glory, by John C. Sulak. Woodbury, MN: Llewellyn Publications, 2014. Aquarius Rising, an unreleased 1967 documentary by Pierre Sogal (attributed). The segment on Wright and Strawberry Fields can be viewed here. Commune, 2005 documentary film by Jonathan Berman. Trailer here. Special thanks to Shivalila member Natec Harijan for her feedback on this piece. Interesting read. Never had heard of it before. It probably isn't that amazing that 2 children chose to leave Black Bear with Shivalila. Hippies/ counter culture communities usually have a radical view of parenting, with the child/ adult 'choosing' the attachment. I know of a much more recent example of this, where a child of 11 had chosen to go and live with a family in England, and the 13yo had gone to France with a larger group. The younger child died when she was hit by a car. Presumably the mother was of the same type as Scarlett Keeling's mother - trusting their child's judgement too much. well-written history, lots I did not know! I found your site through a Google search while rervisiting some jounal papers belonging to my late aunt, who was at the Missouri commune when Tim (Oberon) Zell and the Church of All Worlds confronted Gridley. (My aunt , who died in 2001, noted then that the child who had ostensibly been dosed with LSD by Gridley was 4 years old (!) and that one of Gridley's beliefs was that "we grow best from freak-outs." She began this journal page, in August 1974, saying that her previous journal was "burned on a fire last week in one of those crazy moments; Gridley Wright, the guru of pain, power-tripped me into giving up an 'attachment' by throwing it into the fire."